In December, Bull Bronson surprised Stride Pro Wrestling fans by making his return to the company. That night he helped Woodlawn School Athletic Director Jan Peterson battle members of the DR Party. It seemed it was a one-time return appearance for Bronson, but General Manager Sam Hunter tells me he has signed Bull back to a full-time contract. The big man is wasting no time making his presence known in Stride. 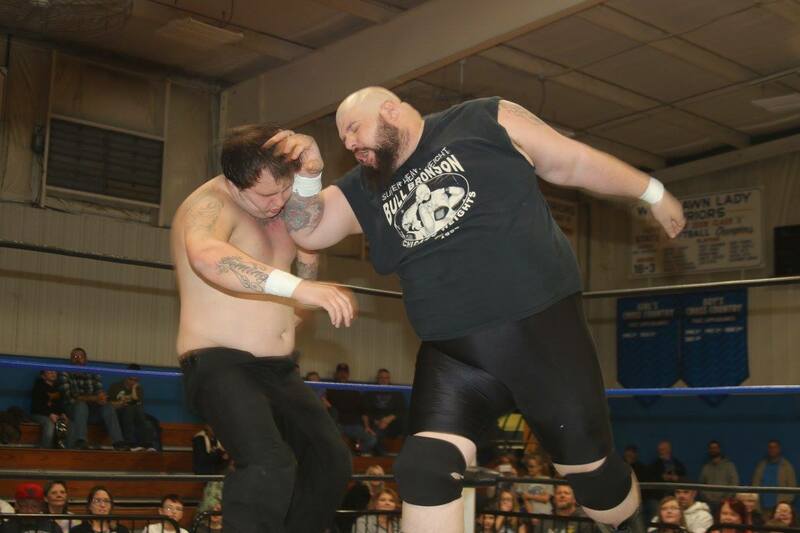 He has challenged current heavyweight champion Jay Spade to a match this Saturday night. 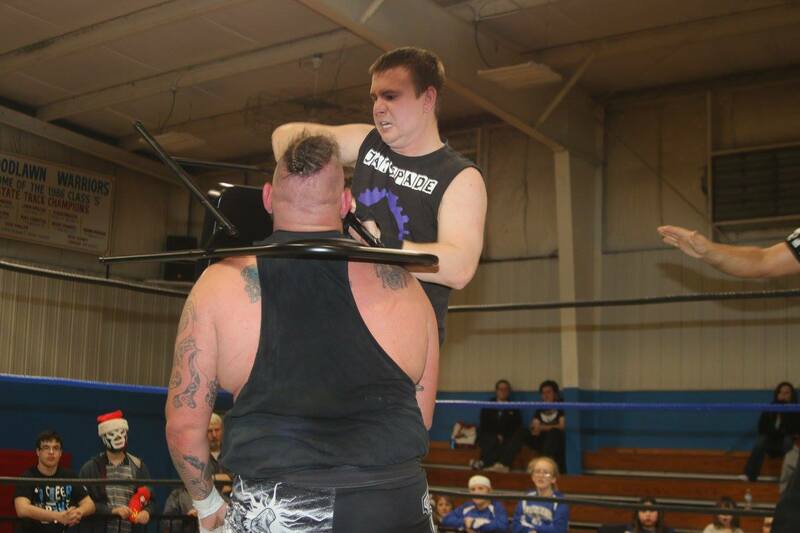 No Love Lost 2 goes down at the Illinois Star Centre Mall in Marion. It will be great to see this match as I don't recall them ever wrestling each other one on one. 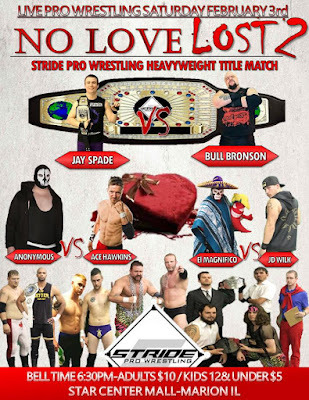 I remember Spade did battle Bull in a multi-man match at AAPW's Main Event in 2012. Bronson won that contest. However, a lot has happened in the last six years. Spade has come a long way and is one of the hardest working and most dedicated men on the Stride roster. He and Joey O'Riley enjoyed a run as tag team champions and at that same show in Woodlawn, Spade did the unthinkable in beating Roger Matheus for the Stride Pro Wrestling Heavyweight Championship. A month later he retained after Matheus went nuts and got disqualified. Spade will need to harness that same drive and determination he used against Matheus, as Bull is just as big and as brutal as the former champion. I have no doubt each man will bring their A game to the show this Saturday. 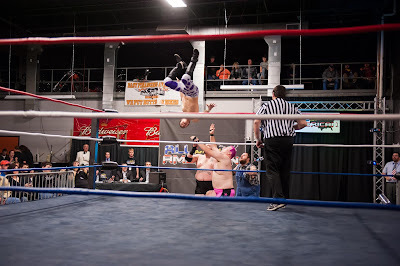 Bell time is 6:30 p.m. and tickets are just $10 for adults and $5 for kids. See you there.